Longacre House, with its charming and comfortable rooms and beautiful English Gardens, is the perfect venue for gatherings of up to 130 guests. Whether you are planning a social event or corporate meeting, bridal or baby shower, a casual family affair or a lavish wedding reception, we are prepared and eager to take care of the details. Plan the perfect affair by choosing from our extensive list of menu selections or meet with our Chefs to create a custom menu. Gourmet Express Catering takes great pride in our flexibility, as we work with each client and their individual ideas. The William Costick Activities Center provides a community-oriented, multi-purpose facility where people of all ages can enjoy a wide variety of social, recreational and cultural activities, events, programs and services. The William Costick Activities Center also provides available rental space(s), accommodating up to 400 people, for a nominal fee to the public, civic and community groups, corporate outings, charitable organizations and the business community. 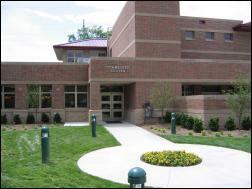 The Jon Grant Community Center was built in conjunction with the Farmington Hills Fire Department’s new Fire Station #3. Opened by the City of Farmington Hill Special Services Department, the Jon Grant Community Center offers classes, programs, and rental opportunities for parties and events. This community center delivers comfortable meeting spaces, the latest in high-tech equipment and unsurpassed customer service. This is a great place for meetings, shows, birthday parties, bridal and baby showers, and other gatherings! Make sure to reserve your date today.